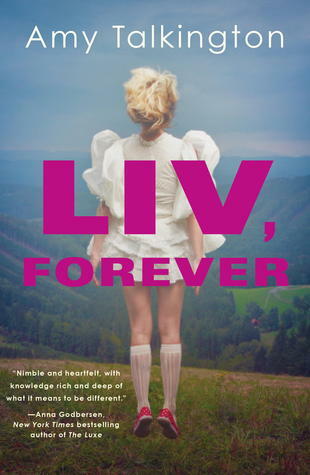 When Liv is awarded a scholarship to attend the ultra-prestigious boarding school, Wickham Hall, she thinks it is the answer to her future. At Wickham, she can become an artist and leave her foster care background behind. Wickham Hall is full of rich, snobby students, but Liv doesn’t even mind; she’s happy just to be able to work on her art. She even strikes up an unlikely romance with Malcolm, son of one of the school’s oldest families-even if other students warn her that it’s dangerous to get involved with a “Wicky” . Indeed, it is dangerous. When Liv is brutally murdered, her spirit remains trapped at Wickham Hall-and she discovers that she is not alone. Other young women have been murdered throughout the school’s history. Only Gabe, another student, has the ability to see and hear ghosts, and he is their only hope for justice. Malcolm, Gabe, and Liv are determined to expose the diabolical happenings at Wickham, but as they uncover more facts, they place themselves in danger. Liv and Malcolm’s love for each other is as touching as it is unlikely-even as a ghost, Malcolm is devoted. You’ll love the characters, and the mystery will keep you reading. If you like this book, you’ll love The Diviners by Libba Bray, and The Name of the Star by Maureen Johnson.